In other words, I GOT AN OCULUS RIFT! VR in 6 glorious degrees of freedom. It's definitely an upgrade from my Gear VR which was a lot of fun but only tracked 3 degrees of freedom. With the Rift and its Touch controllers, being able to see where my both of hands actually are in VR and even roughly my fingers is a big deal. 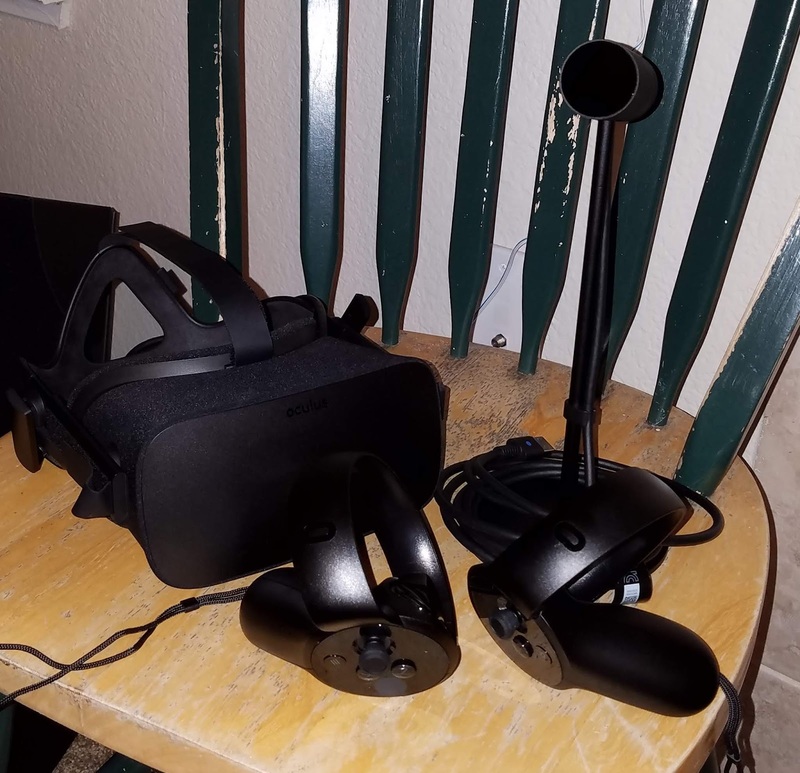 My head movements are fully tracked, and running on a computer instead of my phone enables richer and more sophisticated immersive experiences. I am very much enjoying experiencing virtual reality through my new system. I keep feeling a sense of wonder as I play, experiment, explore and even get a bit of exercise. I've been a VR enthusiast since I was a teenager. 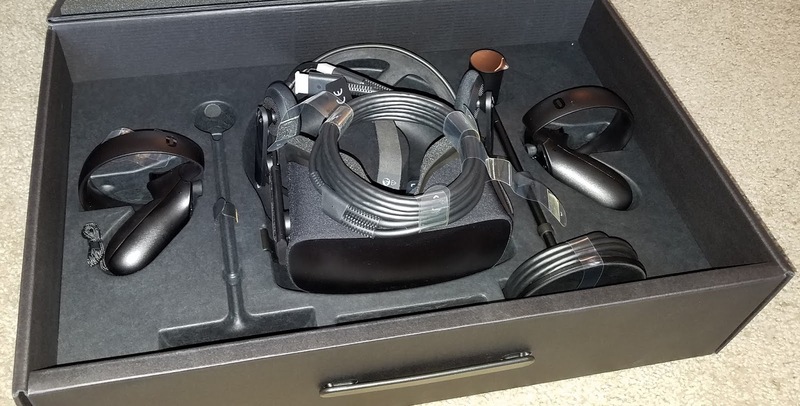 I have owned a handful of VR-related components including Power Gloves, a Leap Motion sensor, Google Cardboard, and Gear VR. 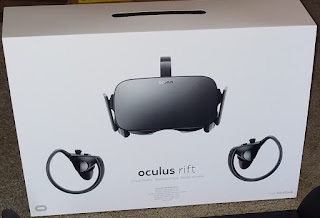 But I have wanted a Rift for a while and I am very excited to finally have one and dive deeper into the virtual world.